Freestanding thermometer with 3 yr certificate of calibration, with min/max. memory, °F/°C switchable. CDC recommends (and VRC requires) using only calibrated temp monitoring devices with a certificate of calibration. Note: requires 4" clearance on back and sides for ventilation. 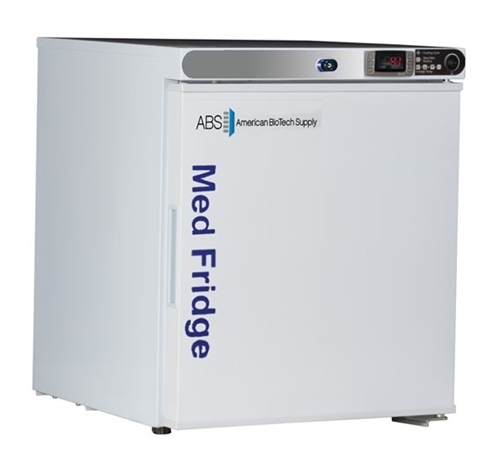 Unit can be placed under a counter, on a counter or elsewhere, as long as ventilation clearance requirement is met.